Here are all PianoClass public videos. Recordings from students, teachers, PianoClass in Concert and promotinal videos are all organized in this channel. 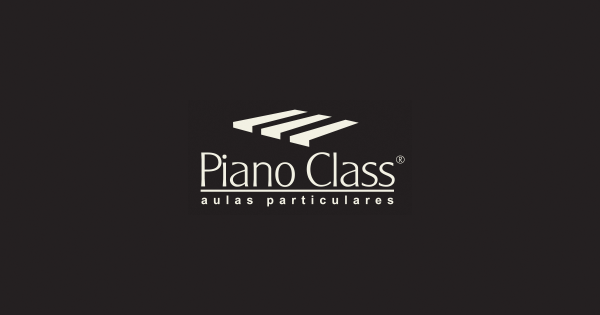 Every material exclusive to PianoClass students is produced and saved in this channel. The videos are private and shared individually with our students. What should I do to watch videos from myPianoClass channel at YouTube? You just need to login the Google account you’ve provided to PianoClass. If you need access to another Google account, just send the new account’s email to your teacher. The Special Activities recordings are organized in myPianoClass channel, as private videos to be shared exclusively with our students. How do I find the videos I’d like to watch? You can also use those hashtags directly at our website search (magnifying glass image). Which videos am I authorized to watch? The live Special Activities happening during your contract will be already authorized for you to watch. Make use of our search system, or the links above, to select the videos in our library that you wish to include in your Learning Plan. Copy and paste the links of the Special Activities you’ve chosen in your Learning Plan document at Dropbox Paper, so your teacher can authorize them. The PianoClass in Concert is published via YouTube.com/PianoClass channel, and therefore is available openly to the internet. Learn more about this Special Activity at How to perform at PianoClass in Concert. All Live Lesson and Follow-up videos are set as private and shared only with the student they were made for. This sharing process is done using the Google account you’ve informed us. If you need access to another Google account, just send the new emails of this new account to your teacher. How to post a video for your teacher? Keep the default “send email notification” checked for us to be notified automatically once your video is available. Paste the link in the proper Dropbox Paper document. This last step is the best way to keep a good organization and the text/video discussion logic. For instance, if your video is a question or a sentence of Bach’s 15th Invention, paste the link of the video in the Paper’s document about this piece. This will make the future access much easier. How do I find the videos I should watch? Your teacher will paste the links to the videos created for you in a pertinent Dropbox Paper document. If you do the same, this will be the perfect place to access them again. Just open the document about the topic or piece you’re looking for, click on the video and watch it. The link to your playlist at myPianoClass is in your Learning Plan documento: Dropbox Paper. We organize the playlist videos from the newest to the oldest. You’ll only see private videos, but just click to watch them. We have the habit of leaving a note with the name of the video to help you know their content. As YouTube sends an email when we share a video with you, and also when you publish a video shared with us, you may simply create a folder like “PianoClass – video”. You’ll just need to move those emails there once they arrive in your inbox. Then you’ll have an easy access already in order of date. As students ask for help to use YouTube with PianoClass, we’ll add little guides and tips in this page. How to make a note at private videos? Done! Your note will show up right below the info of who uploaded the video.